What is a blog? It could be a personal diary of somebody or it could be a place for sharing their views about a matter or who knows it may be a platform for the people to make money. So, lets look at what are other people’s view about it? So, do you understand what is meant by “blog”? If you are still confuse with it, let me define it in simple terms. 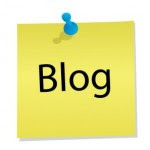 Blog- is a website which contains entries which are arranged reverse-chronologically where newer entries are on the top and the older entries are called as archives. The activity of posting is called as “blogging” and the one who maintains the blog is “blogger”. Update: Here is a video by commoncraft. It is several years old but it may be a great introduction about blogging. So, enjoy the video.